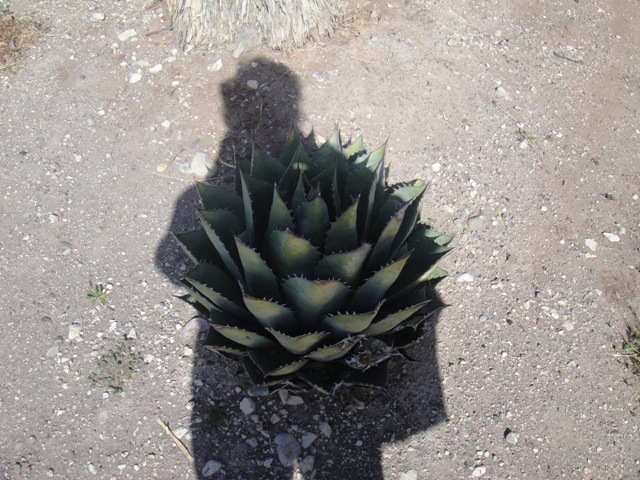 That’s me and my shadow cast over an agave growing in arid, Marfa, Texas soil. The consultant gave me an assignment based on her client’s specs: Snap more images that suggest Texas outdoors. Gravitate towards plants and settings steeped in sepia tones (no bright colors). Create a visual experience of nature through organic, abstract shapes. That’s an assignment I’ll be completing throughout the week. Next Sunday, I’ll share the results on my blog. In the meantime, Olympic fever has hit my home and friends. 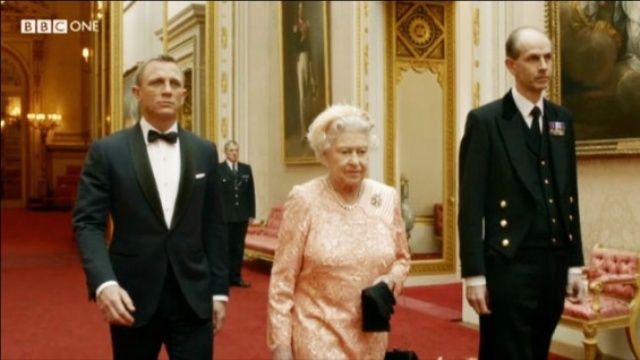 My favorite opening ceremony moment was when the Queen and her Corgis welcomed James Bond, Agent 007, into her offices at Buckingham Palace. The clip was actually filmed there with the real Queen Elizabeth and two of her Corgis. Agent 007 and she (body doubles, both) parachuted from a helicopter into the stadium. She’s the new “Bond Girl” and a good sport. Note: In a later chat with London’s Mayor, Boris Johnson, the Queen said she hadn’t watched the video with the stadium audience. She just hoped it got a laugh. I think she’s funnier and wittier than her stoic face, purse and pumps will ever let us know. Until next week. Enjoy the Olympics – Go Team USA. 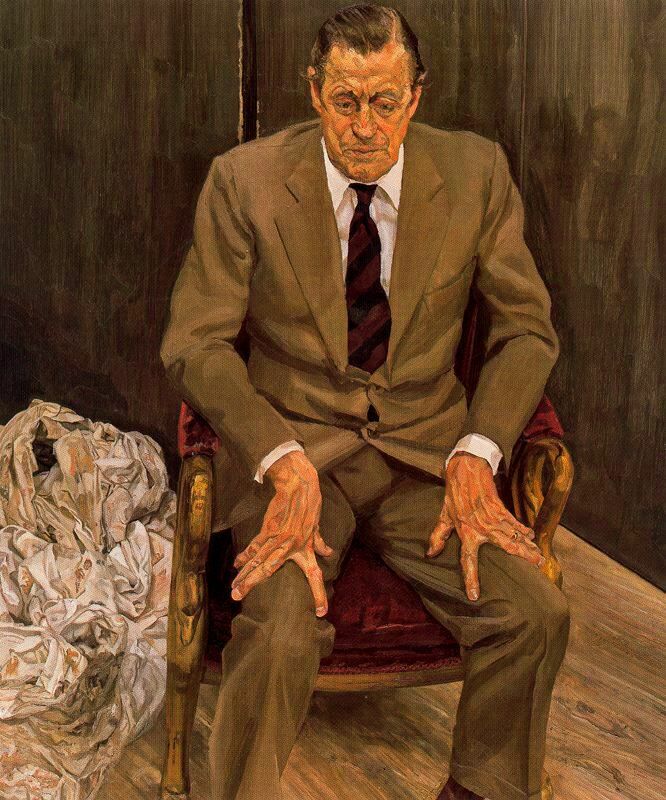 The only stop in the United States for the spectacular exhibition, Lucian Freud: Portraits, is in Fort Worth at the Modern. 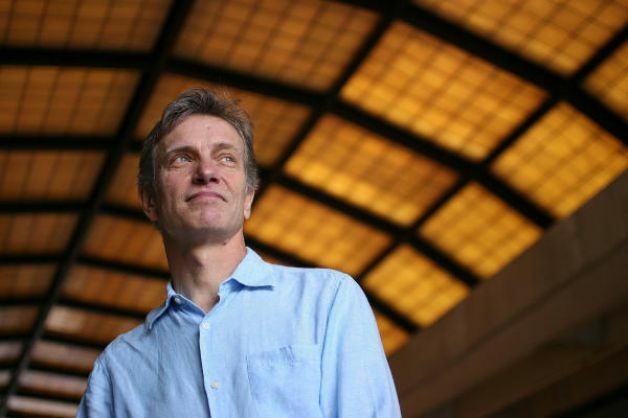 Kudos to Michael Auping, Chief Curator at the Modern, who collaborated with the National Portrait Gallery, London and Freud over many years to mount this show of 90 works, dating between 1943 and 2011. I want to share one of the many stories Auping told us during an opening week tour. As we entered the second room, Auping pointed at the three paintings mounted on the right far wall. He nicknamed the trio, “Jockey, Owner, Bookie.” Here’s why. 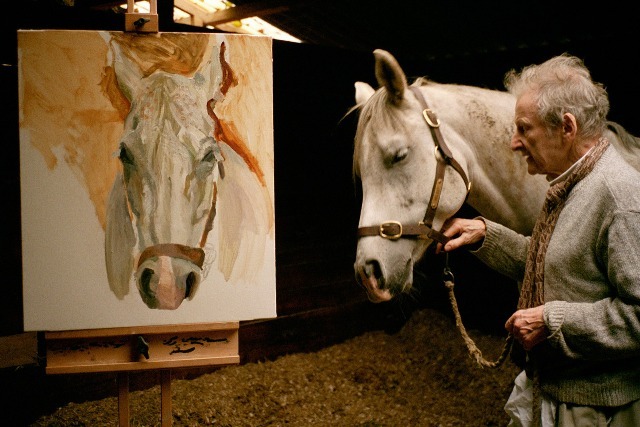 Lucian (1922 – 2011) loved horses. His fascination started at an early age, learning to ride at an English boarding and finding refuge in the school’s stables. In adulthood, he continued riding, painted portraits of horses and frequented the tracks to place bets – lots of bets – on the horse races. The “Jockey, Owner, Bookie” paintings…. Guy Hart had a career as a successful jockey, the type Lucian would befriend at the tracks. Guy remained a passionate follower of horseracing and became an antiques dealer. The portrait above features Baron H.H. 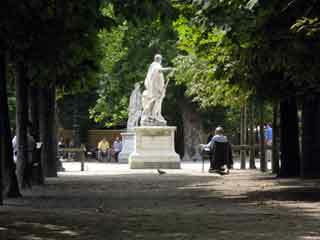 Thyssen-Bornemisza, a wealthy international industrialist, art collector and horse owner. Note the pile of grubby rags at the Baron’s left elbow. At the start of each session, Lucian tore a clean piece of white cotton from a pile of decommissioned hotel sheets, which were purchased in bulk from a recycling business. He’d tuck the cloth under his belt to serve as an apron where he wiped his brush clean after each individual brush stroke. Every stroke you see in the portraits is a precisely mixed oil color. And, the third painting captures Lucian’s bookie, the guy who enabled an alluring and expensive habit. One day Lucian asked his New York City dealer, William Acquavella, to settle the balance of his gambling debts with his bookie, “The Big Man.” Mr. Acquavella agreed thinking it would be a fairly modest sum, and was shocked when the bill was £2.7 million. Rumor has it that the bookie’s family owns numerous paintings which Lucian exchanged for reducing his tab. Today, the holdings are estimated at $50 million on the open market. September 11th David Dawson. Lucian’s assistant for 20 years and painter. October 9th Martin Gayford. British critic, writer and curator, Martin is the subject of the painting, Man in a Blue Scarf (2004). Oct 23rd Michael Auping. 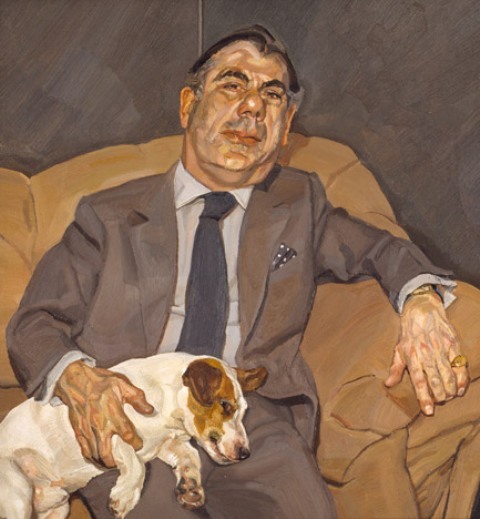 Chief curator at the Modern worked with London’s National Portrait Gallery curator, Sarah Howgate on Lucian Freud: Portraits. He contributed an essay to the exhibition catalogue and a series of interviews with the artist. These interviews, completed between May 2009 and January 2011, were the last with the artist before he died. 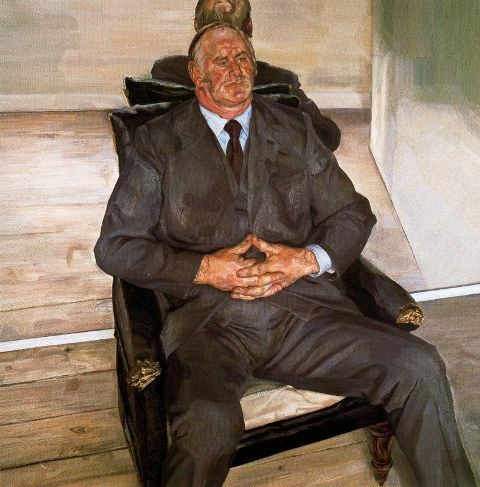 Lucian Freud: Portraits runs through October 28th. 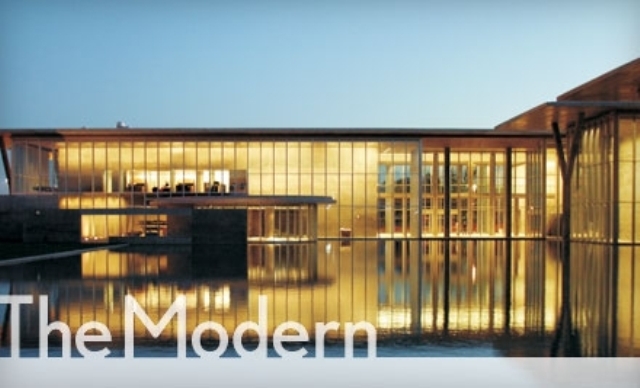 For fans of this artist, I recommend a trip to Fort Worth and the Modern. Of course, at the top of my list is time spent with friends and family reminiscing about the past, what’s going on now, and just hanging out together. Next on my list, I would have to say is eating a lobster roll. 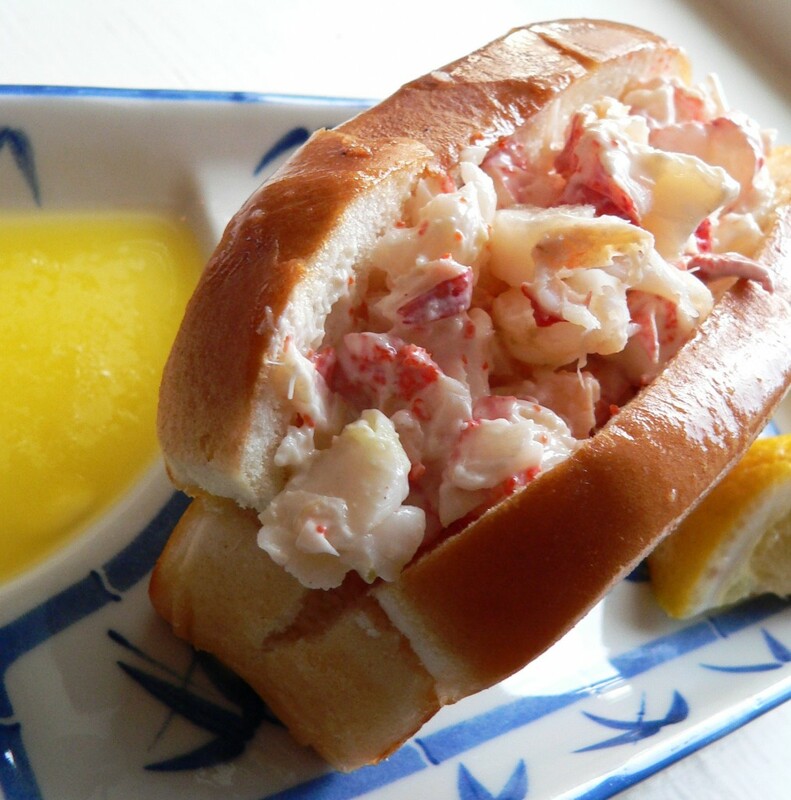 Not just any lobster roll. It has to be a genuine New England-style version. The type where the meat is unadulterated by mayo or butter. Betty, who is my Mom, knows this and keeps her ears open. She had heard of a new place to try, a fishing shack right on the water in Guilford, Connecticut. The lobsters were caught a few hours ago, boiled to the right consistency (not too mushy or too tough) and shucked immediately from the shell. New England-style Lobster Roll: It was so fresh, yummy and pure. Growing up in Connecticut and near Long Island Sound means that when I visit I welcome any chance to be near, smell or touch salt water. 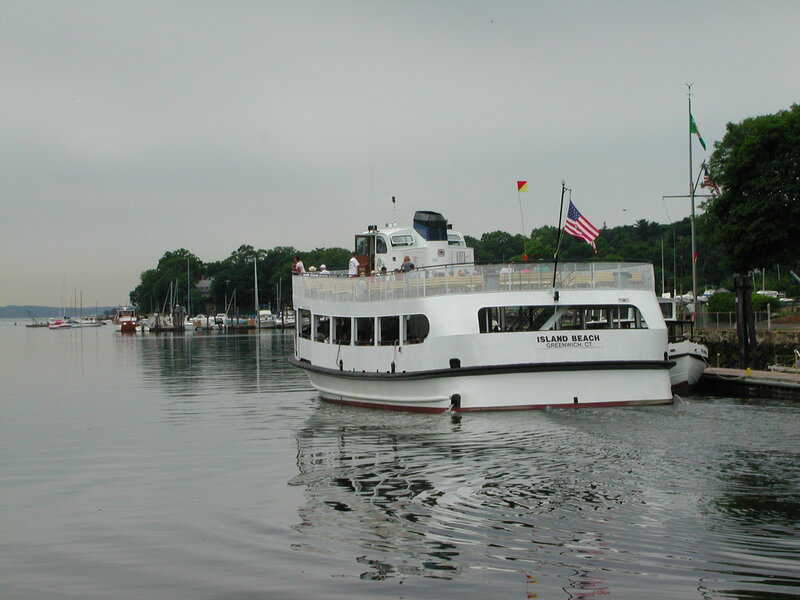 So, Mom drove me to a favorite spot – the Stony Creek ferry landing which is the starting point for trips to the Thimble Islands (see photo below). They’re a series of roughly 100 really small, granite rock islands which, in the last century, were popular yet complicated places to build summer homes. They were summer-only family escapes when I was a kid, but many have been winterized for year-round use. I also visited with my longtime friends, Melinda Stein and Tom Tobin, who live in Rye, New York which is another Long Island Sound community. Aren’t I lucky? Water again! Melinda and I had lunch at a neighboring town’s waterside café on Steamboat Road. 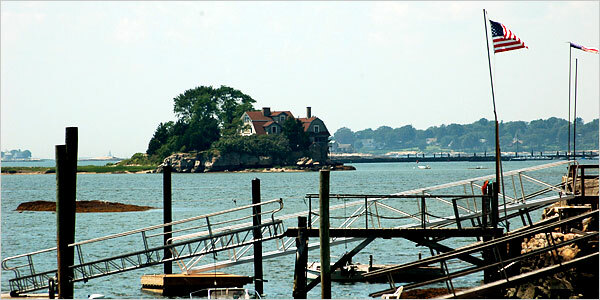 We could see the ferry below which I took every summer to Island Beach, a two-mile ride from the town’s shore. Island Beach ferry | Greenwich Harbor, CT.
Melinda and I also had the chance to visit the Bruce Museum and see “White on White: Churches of Rural New England,” an exhibition of large format, black-and-white photos of New England churches. I have many pleasant childhood memories of the old town greens I’ve seen with their pristine white wooden houses of worship. 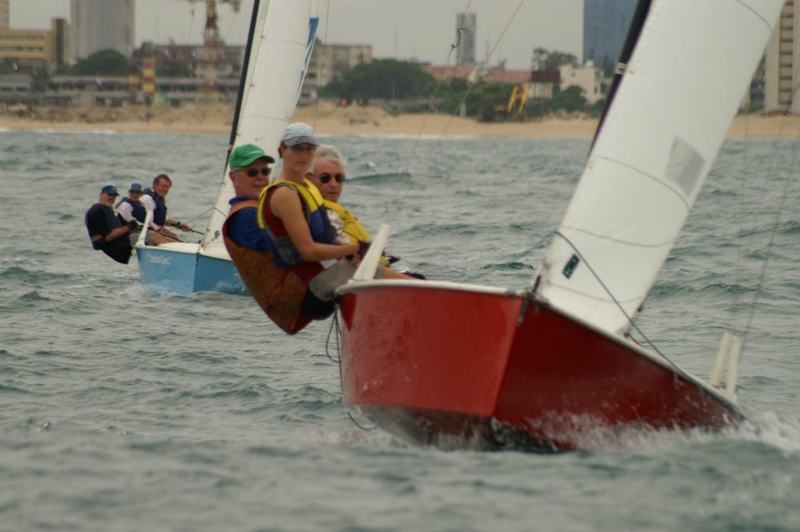 Melinda and Tom are sailing enthusiasts and had planned a treat they knew I would like, and invited my brother Pete to join the merriment. 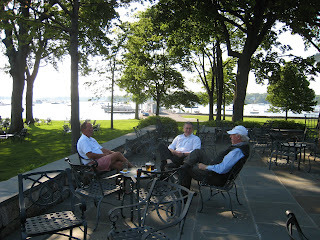 We had drinks and dinner at a beautiful spot, the American Yacht Club, overlooking the Sound. You’re getting the theme that my friends and family are consistently feeding my love of nature and water found back East. 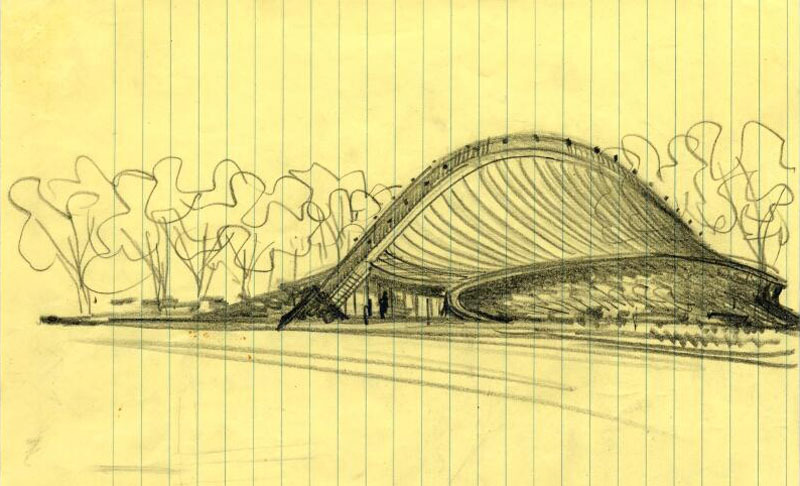 Then, there is another building that meant (and still means) a lot to me. 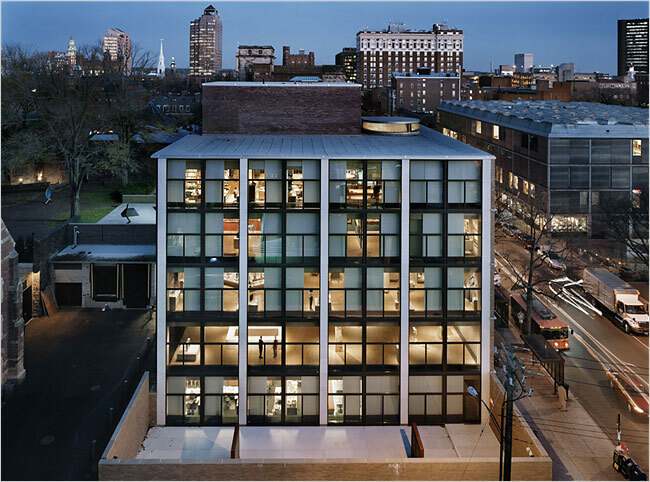 It’s the Louis Kahn-designed Yale University Art Gallery which was the architect’s first major commission. He shook things up in New Haven. 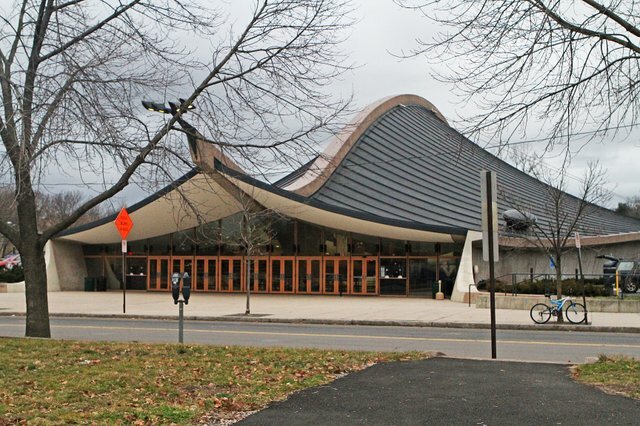 He forever changed the look of Yale which until Kahn had only honored the traditional Neo-Gothic and Georgian architectural styles. When I was in grade school, this is where I took my first art appreciation classes. The outside and inside construction was like nothing else I had ever experienced; and I liked it, plus the art and teachers. Part of the purpose of my trip East was to celebrate the 4th of July with my brother, Pete. 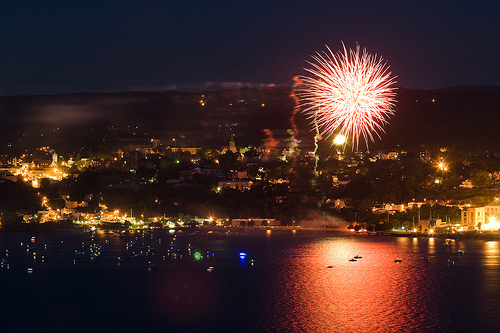 We watched the town of Nyack’s fireworks. Across the Hudson River on the opposite bank, we saw other small towns light their firecrackers, the timing slightly staggered in their launch to keep the light show going longer. It also seemed fitting for my July 4th Independence Day trip to visit the 9/11 Memorial. Pete and I did this together on my last day in New York City. 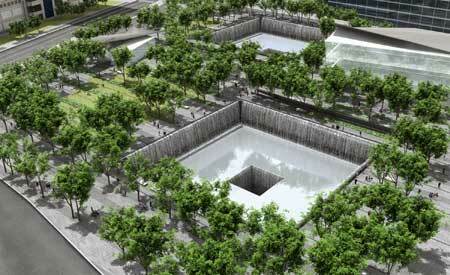 Site of World Trade Center: Aerial view of the 9/11 Memorial. Note to my Dallas friends: Peter Walker, who is the landscape architect for the Nasher Sculpture Center, designed the 9/11 Memorial landscape. You’ll sense the similarities in the grid layout. 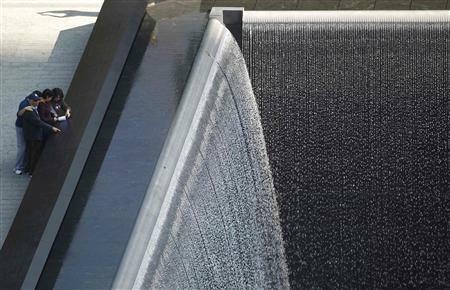 A thirty foot waterfall drops from beneath the black railing where the people, in the photograph above, gather to read the names of those who are commemorated. 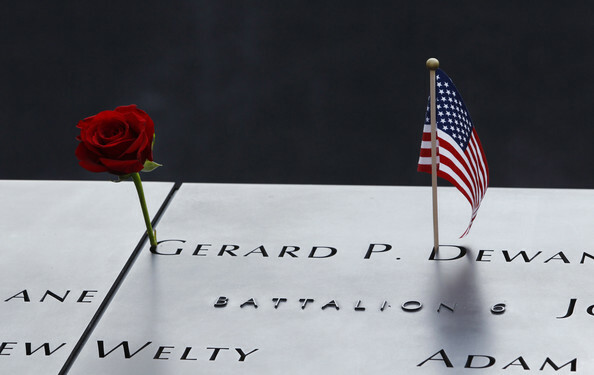 The 9/11 Memorial is inclusive, honoring all 2,982 who died in terrorist bombings at the World Trade Center in 1993 and 2001, those who were on the planes hitting the North and South Towers, Pentagon and Pennsylvania field, and the First Responders working in the line of duty or volunteering. An online guide maps and locates all the names inscribed in the black granite railing. See close-up below. The message completed the circle of this trip East where I was able to eat and laugh and be with those who mean the world to me. Joseph Havel (American, b. 1954) was the featured artist at the Nasher Sculpture Center’s 360 Speaker Series this Saturday. I’ve admired this Houston-based sculptor’s work for many years, attended his openings at Talley Dunn Gallery in Dallas, and was thrilled to learn more about his background, thought process and career path. As usual, I’ll share several stories that resonated with me. Hopefully, you will also find them of interest. His first show in a non-profit space was at 500X, which still operates as an Artists’ Coop in Deep Ellum. The Dallas Museum of Art was the first museum to acquire his work. He completed his first sale to a private collector, who happened to be seated in the audience on Saturday and was visibly proud to be part of Havel’s life story. The first cast bronze sculpture he sold was to a Dallas collector. 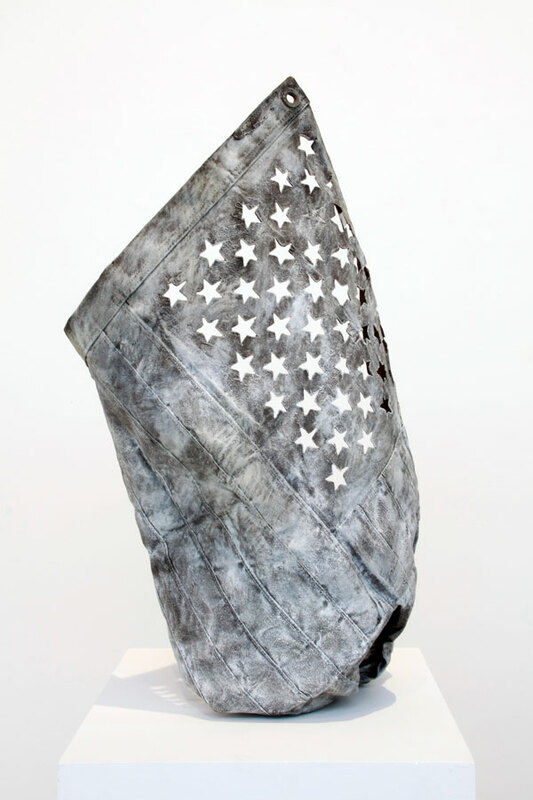 Michael Auping, Chief Curator of The Modern Art Museum of Fort Worth, asked Havel if he planned on casting a cloth curtain sculpture in bronze. Havel quickly responded, “Of course!” Most likely he would not have taken this next step without Auping’s prodding. The outcome of the story? This bronze piece was museum-ready and was selected for the 2000 Whitney Biennial in New York. The biennial is an art showcase known as a career-making vehicle and acknowledgement that an artist has arrived on the national scene. 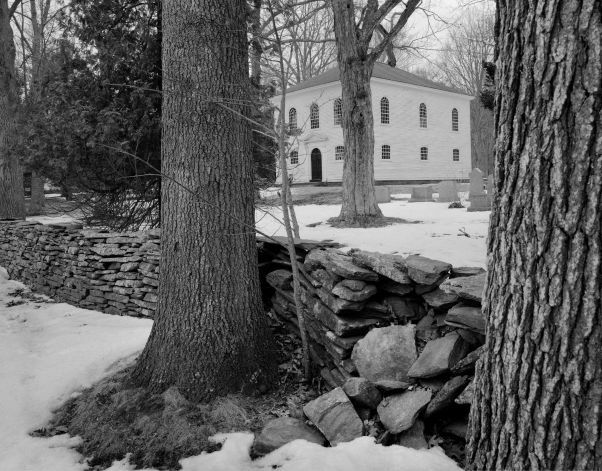 In the photo below, notice the draped sculpture to the left. 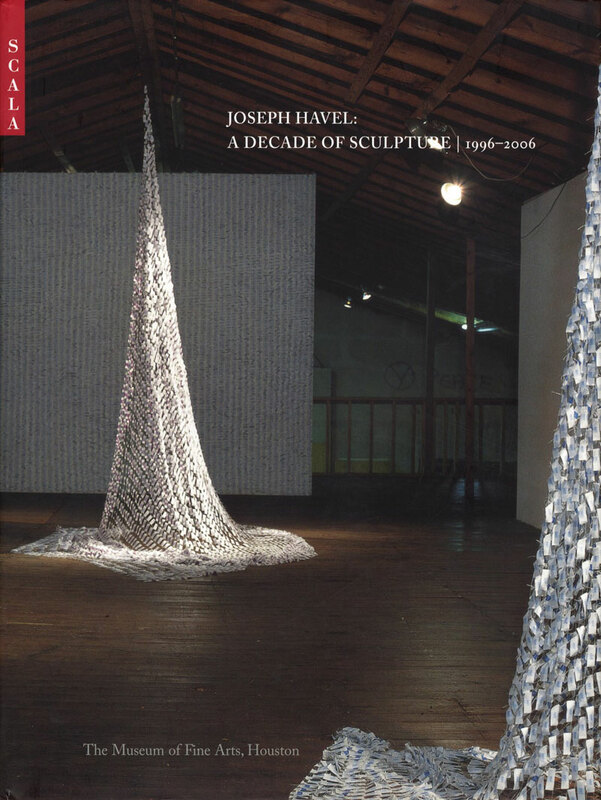 It resembles the work Havel carried – literally carried – to a Paris show at Le Palais de Tokyo. Havel told us he wanted to pack an entire gallery exhibition in two suitcases – no professional handlers, no complex customs and tariffs, the fewest of encumbrances. 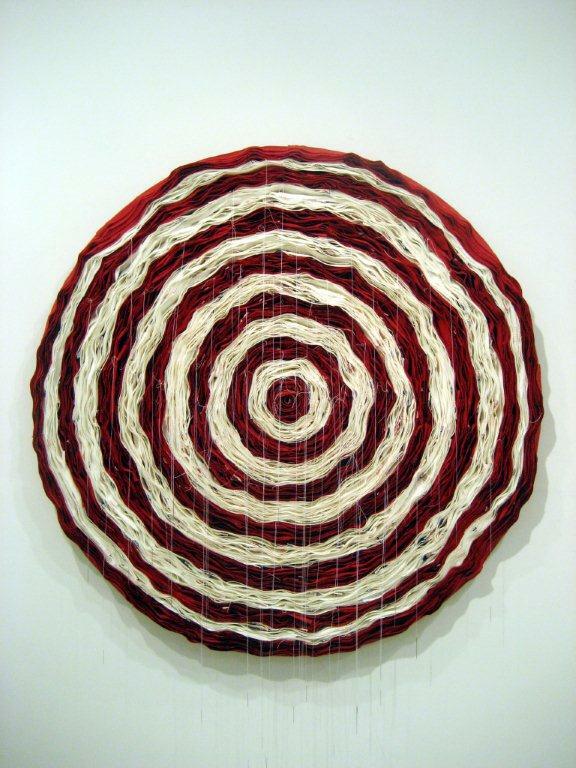 He did this by making “soft sculpture” art – like the large square “mesh” of hand-sewn shirt labels in the image above. The square was hung from one of its corners, causing a fluid drape that extended from the gallery’s ceiling beam to the floor. This renowned artist rolled two suitcases through the Tuileries Gardens en route to the gallery space. I was amused by Havel’s motivation, careful planning and desire to schlep a manageable load. Paris was the subject of another story he shared with us. He was there for a solo show on September 12, 2001 – buffered by the Atlantic Ocean from Ground Zero and 9/11 terrorist attacks. Havel was so moved by the condolences from Parisians when they realized he was from the USA that he knew his next show in the “City of Light” would have an American theme. Stars and stripes from our flag were repurposed into striking objects. Below are two images from these explorations which are still ongoing. I’m taking a short summer vacation – be back July 15th.